Goa, the delightful "beach capital" of India is surely an experience of a lifetime. Right from its sun kissed beaches to its colorful festivals, this Indian state is one of the most popular vacation spots in the world. No wonder, the demand for good hotels in Goa is always high. When it comes to accommodation, Goa offers some wonderful options for one and all. Right from top end luxury to beach shacks, the range of options is sure to delight anyone. 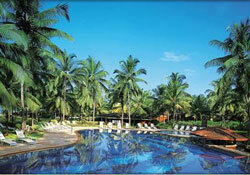 Speaking of the luxury hotels in Goa, they offer the best in terms of comfort and high-end facilities.